We want to share with you the story of the people who use small boats and to explore the lives of one community for whom the sea has been an essential lifeline and source of food: the people of Cornwall. Like other Museums, we are committed to a special mix of conservation, research, education and entertainment. But we are more than just a museum. We aspire to be a standard bearer for the emergent Cornwall; innovative, confident, and stamped with a quality brand. Proud of its past and present, yet designed for the future. We also aim to contribute to the future of the Carrick Roads and Falmouth as a world maritime centre and successful tourist destination. For further information on accessibility see the Accessibility page or telephone the Museum enquiries desk on 01326 313388. Fal River Cornwall run daily ferries sailing between Truro or St Mawes to Falmouth. During the summer period (Monday to Saturday) a regular Park & Float ferry service runs from the car park at Ponsharden on the outskirts of Falmouth, direct to Custom House Quay in the town centre, just around the corner from the Museum. From there it’s about a 10 minute walk to the Museum where you’ll receive a 10% discounted entry by showing your ticket. For visitors with GPS devices, Park & Float postcode is TR10 8AD. During the summer period there is a Park & Ride service six days a week. Buses run approximately every 15 minutes into Falmouth Town Centre. From here it is approximately half a mile through the cobbled main street of Falmouth (10 – 15 minute walk) to the Maritime Museum. If you’re unable to walk this distance, the Falmouth Shuttle Bus operates a circular service around the town every 20 minutes. For visitors with GPS devices, the Park & Ride postcode is TR10 8AD. The nearest public car park is one hundred metres away, across the Museum Square (a level, but cobbled surface). The car park has a number of designated accessible parking spaces. 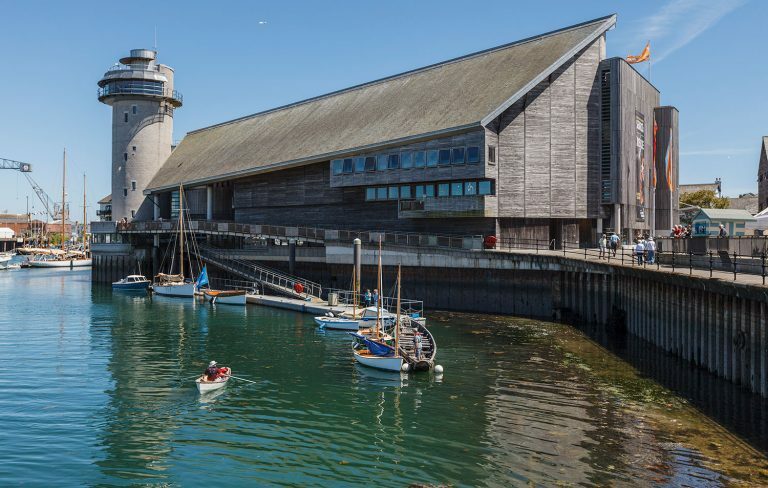 The Museum is at the southern end of Falmouth’s harbour side, between the main shopping area and Falmouth docks. There are brown signs (with an anchor) to assist you on the outskirts of Falmouth, but limited further signs on the A39 so please keep going on the A39 (past the Merchants Manor Hotel on your right, then Fox Rosehill Gardens on your left) until you are directed to take a left turn by a brown sign which lists the Maritime Museum at the bottom with the anchor. Follow this down Avenue Road and you will see the Maritime car park in front of you (with lots of branded flags and banners). For visitors with GPS devices, our postcode is TR11 3QY or select Bar Road as a destination. 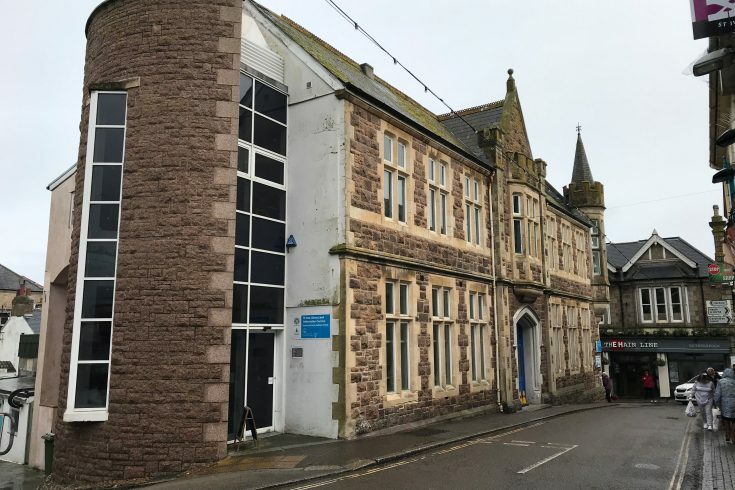 There is off-street pay & display car parking in the Maritime car park (max 4 hours controlled by Automatic Number Plate Recognition) or alongside in Grove Place car park (max 3 hours) providing over 400 short term spaces within 150m of the Museum. The Dell car park, near the railway station, offers long-term parking and is about 200 metres away. All these car parks have accessible spaces. There is a regular train service with connections to the main London to Penzance line. Change at Truro for the branch line to Falmouth. See the National Rail website or telephone 0845 7484950. Alight at Falmouth Town (The Dell) station and the Museum is a 5 minute walk away. Follow the edge of the car park and take Avenue Road towards the town centre. There are bike racks next to the Maritime Museum car park, in front of the large granite pyramid (Killigrew monument). Find out more about cycle routes. The nearest airport is Newquay Cornwall Airport. Various firms provide hire cars from Newquay Airport, including Rhino, Hertz, Europcar and Avis. There is a coach drop-off and parking point for 2 coaches in the Maritime car park very near the Museum. 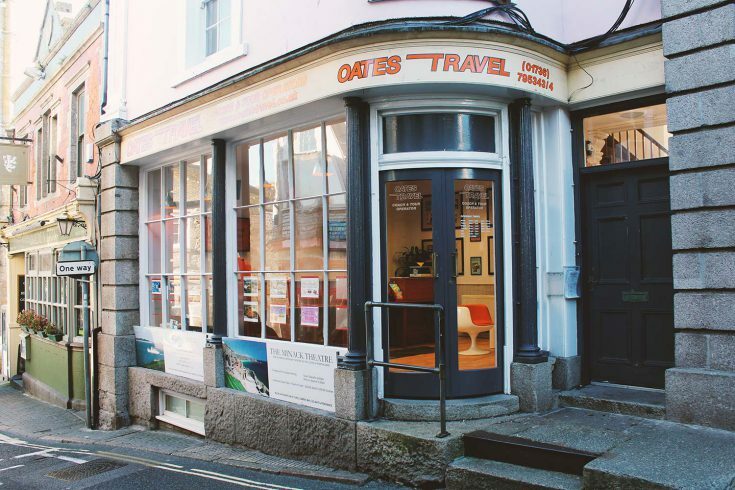 Oates Travel is a professional, family-run coach and tour operator, established for over 30 years in the heart of the beautiful Duchy of Cornwall. 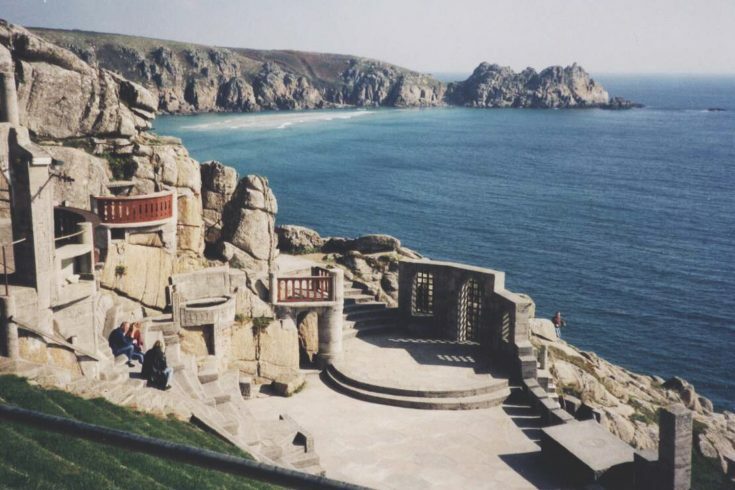 Known across the globe, The Minack is an awe-inspiring open-air theatre carved from the cliffs high above Porthcurno beach.